Posted on March 2, 2014, in recipes, Weight Loss and tagged CookingwithJoAnne, gluten free, salad, vegan, vegetarian. Bookmark the permalink. 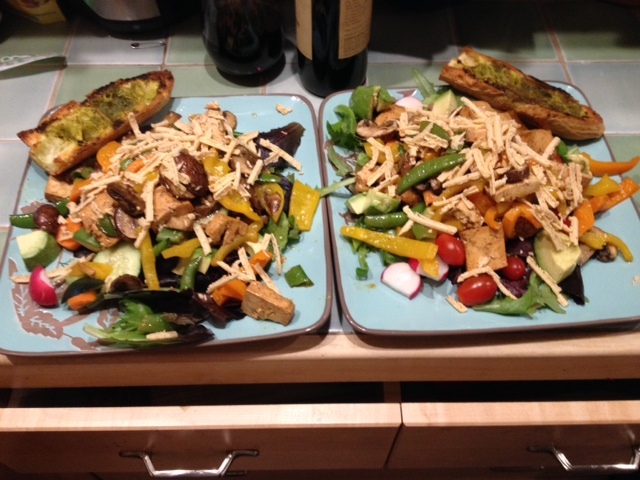 Comments Off on Sauteed Salad with Honey Ginger Balsamic Vinagrette with Gluten Free Garlic Bread (Vegetarian).